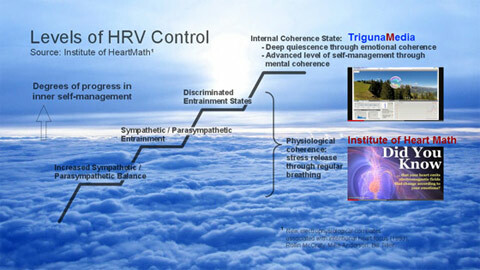 The CardioGem ® program, based on long standing research and the newest scientific insights and developments puts you at the leading edge of understanding, diagnosing and entraining the true power of internal cardiac coherence. Importantly, these are not mere "passive" conditions, but ENGAGING and ACTIVE states. Practical benefits in personal life are increased emotional control and therefore better self-management and improved efficiency. When your body and mind are coherent, things don't necessarily cost less effort, but "effort costs less effort". This leads to a sense of wellbeing, personal significance and co-creativeness. Internal coherence is the weaving of your complete emotional make-up into one single flow, transporting you into the center of your being. Research has shown that in the heart's "slow-wave" (emotional) spectrum, fractality optimized by Golden Ratio is nature's "secret" to make this happen. 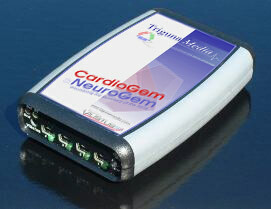 What can CardioGem Biofeedback do for you?